Heard about The PUR Clinic? Located in the South Lake Hospital, in affiliation with Orlando Health, and focusing solely on men’s health concerns, The PUR Clinic has a documented history of providing high-quality, personalized care to its patients. Treating sensitive issues such as chronic testicular pain and vasectomy reversal, the clinic has become a leading provider of microsurgical procedures and other treatment options. The high-quality services provided by The PUR Clinic have earned the clinic and the doctors numerous awards and media coverage. Men’s infertility issues are treated collaboratively with both partners and the medical team. With a focus on patient comfort and unique needs, the highly qualified surgeons utilize the most up-to-date technology for any procedures they perform. Services from The PUR Clinic begin with a patient scheduling an appointment to consult about his needs. During this first appointment, relative health information and history help to form the treatment plan or next steps. Each part of the treatment plan is clearly communicated with patients for a collaborative approach to care. Why Choose The PUR Clinic? With a devotion to patient-centered care, The PUR Clinic has earned a rating of five out of five on health grades. Utilizing microsurgical procedures, the surgeons are the first two dual-trained microsurgeons in active practice. The PUR Clinic has a history of demonstrated success in the treatment it offers. The medical team has a track record of performing over 1,000 robotic microsurgical procedures. Eighty-five percent of patients who chose The PUR Clinic for chronic groin pain saw a reduction in their pain. 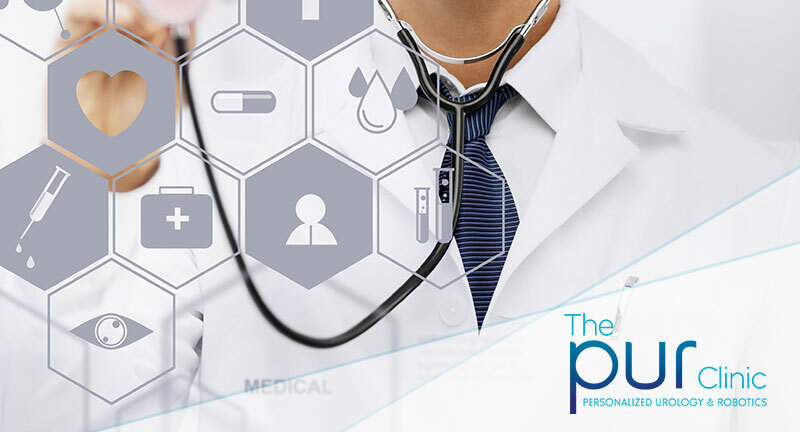 As leaders in their fields, the surgeons on staff at The PUR Clinic continue their undertaking to offer up-to-date care by continually publishing and presenting research in the medical field related to men’s health.